A Mongu resident who was arrested on April 22nd this year for allegedly burning the Limulunga Local Court was last Wednesday released after the state entered a nolle prosequi. 23 year old Munukayumbwa Munyinda was detained for three months without trial and was denied bail. Munyinda was arrested after PF cadres in Mongu reported to the police that he was behind the burning of the Local Court in Limulunga. 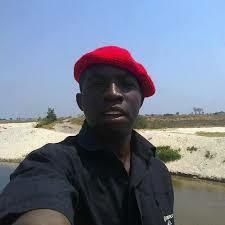 Munyinda had initially been charged with arson but after the police and his PF accusers failed to link him to the Local Court fire, the charge was changed to seditious practices. Munyinda, who is a known Barotseland activist, was later accused to have posted a comment in 2015 on facebook stating that ‘State House was cursed’ until the Barotseland issue was resolved. The Limulunga Local Court is one of several public institutions that have been burnt across the country from September last year.